This weekend marks the first time in the new campaign that the schedule is nearly full with regular season games. Many of the teams competing this weekend are coming off of varying degrees of success at the Toronto Titans Tournament last week while others already have a couple of regular season games under their belt. Probably the best matchup of the day Saturday comes from RIM Park as Waterloo looks to get their season back on a winning track hosting the Chiefs of Elgin-Middlesex. Waterloo disappointed with a 1-3 record at the Titans tournament, unable to get any offense generated in the tournament. The Wolves hope a strong start to the regular season can help them to their third straight title. The Chiefs had a great showing at the Titans tournament, really opening a lot of peoples eyes. They made it to the round of 16 before being eliminated. Jake Murray and Wes Dobbin were the stars on offense while both Lucas Bain and Josh Diamond were rocks in net. Chiefs hope momentum is on their side after their tournament performance. The Huron-Perth Lakers are the team that has come out of the gate the fastest thus far, collection two wins in their two games last weekend. Led by Kaleb Pearson’s two goals and four points last weekend, the Lakers collected wins over both Chatham-Kent and these Cambridge Hawks. The Hawks will look for revenge on the Lakers who downed them in their home opener last Saturday. Cambridge was able to grab their first point of the season last Sunday when they held on for a 2-2 tie against the Kitchener Jr. Rangers. Forward Kevin Quinn and goaltender Ben Coveny will once again try to pull off the upset in Huron. For the first time this season, the Sun County Panthers will take to the ice in a meaningful game when they visit Kitchener to battle the Jr. Rangers. The Panthers will hope to show renewed success on the defensive side of the puck which is what helped them to a 16-14-3 record last season. Kitchener hopes this weekend treats them better than last. The Jr. Rangers went a disappointing 0-1-1, unable to grab a win against either Chatham-Kent or Cambridge. It should be noted that goaltender Rhetton Kimmel did not dress for either game last weekend and it is unclear whether he will this weekend either. A night after their regular season opener at home to the Cyclones, the Jr. Sting will travel to Hamilton as the Huskies open up their Alliance season. It has been a rough start for the Huskies as they have just one win in their first seven games including exhibition contests. The Huskies hope strong performances in net by Andrew Barwinski and Carson Owen will help them to victory. The last team to get their non-exhibition schedule started is the Brantford 99ers and they welcome a promising Windsor team to town for back-to-back games. While I have shown praise for the Jr. Spitfires and my belief that they will be a sleeper team, I would say Brantford is much better and much more improved than many give them credit for. The team had a tough exhibition schedule and held their own against very good teams. Windsor began their Titans Tournament with a high scoring win, but found that their offense was able to outscore every opponent throughout the tournament, going 1-3. Kory Silverio was a pleasant surprise for Windsor, leading the team in scoring through the tournament while start defenseman Owen Lalonde continued to shine bright. 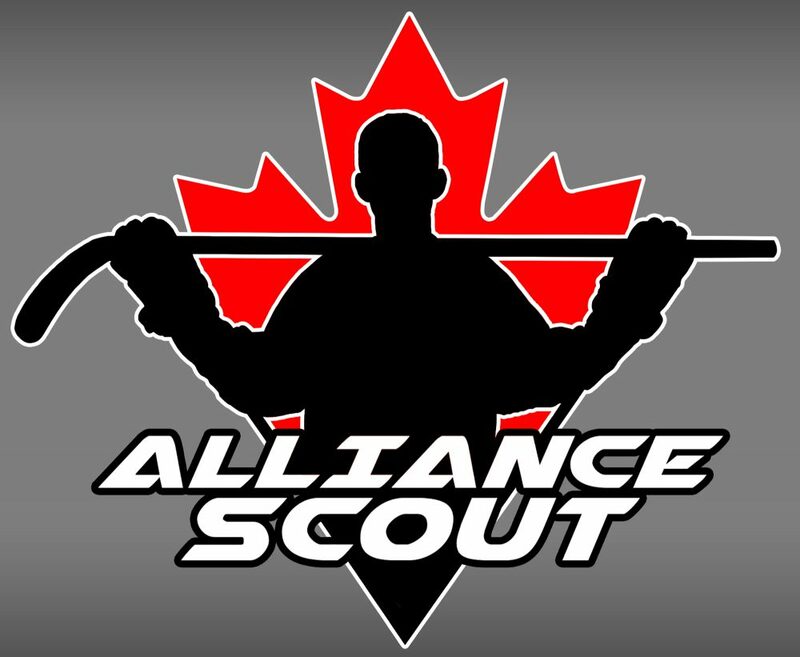 This entry was posted in Alliance Hockey, Alliance Scout, Brantford 99ers, Cambridge Hawks, Elgin-Middlesex Chiefs, Hamilton Huskies, Huron-Perth Lakers, Kitchener Jr. Rangers, Lambton Jr. Sting, Sun County Panthers, Waterloo Wolves, Windsor Jr. Spitfires by Dave Coulson. Bookmark the permalink.